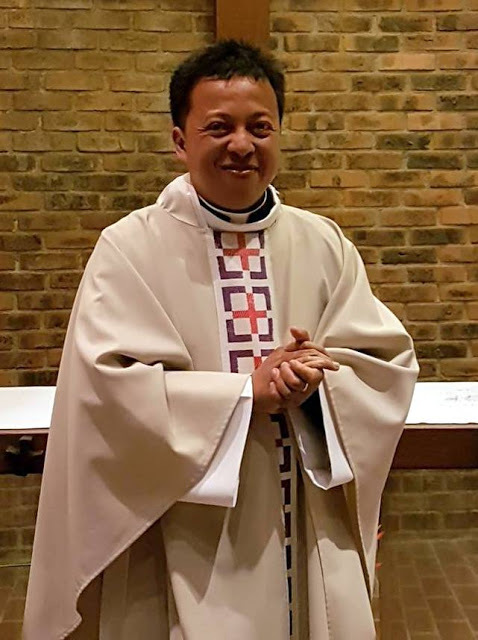 On Saturday 1 July the Revd Nicolas Razafindratsima was ordained to the priesthood in St George’s Paris. It was a jubilant celebration, reflecting also the multicultural nature of St George’s and indeed our diocese. Fr Nicolas is originally from Madagascar. 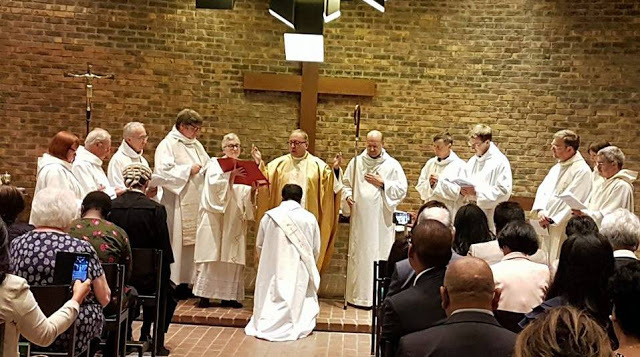 There is a large number of Malagasy (or Malgache in French) Anglicans in St George’s and the ordination rite was printed in both English and Malgache, and the hymns, even the ancient Veni Creator Spiritus, sung in both languages – sometimes in vigorous competition! The ordination liturgy is not one that is frequently seen in our churches. People often say to me following the service that there are two moments that particularly strike them. The first is the ordinand lying prostrate before the altar while the Veni Creator Spiritus is sung followed by the chanting of the litany by the Deacon. Prostration is an ancient biblical sign of humility (cf Deuteronomy 8.18) and vividly signifies that the ordinand is completely dependent upon God. All those of us in Holy Orders need to recall daily that our ordination is not about power and status, but is a ministry rooted in humility and servanthood, utterly reliant on God’s grace. The second is when the bishop lays on hands to call down the Holy Spirit on the ordinand for the office and work of a priest, with the other attending priests laying on hands at the same time, thus symbolising the oneness of the priestly ministry they share which comes from Christ our Great High Priest. 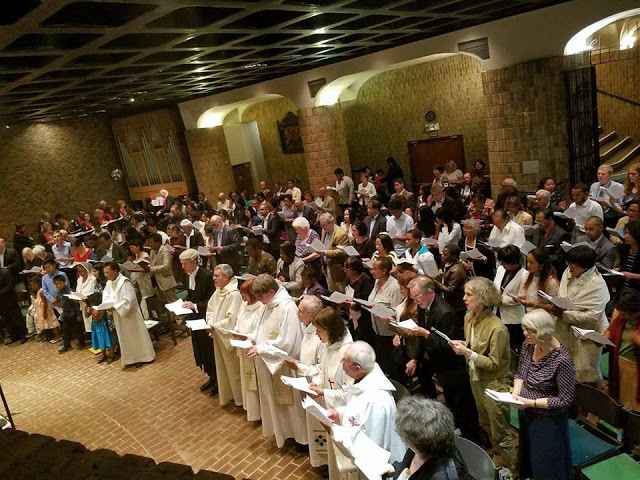 Many of the parishioners lined up after the ordination mass both go greet Fr Nicolas, and to receive his blessing as a new priest. At the champagne reception following the service a special ecumenical greeting was delivered by Pasteur Jean Andriamarohasina Ravalitera, who is the President of the Malagasy Protestant Church in France.